I’ve been stepping outside of Downtown Detroit lately, mostly because I no longer live near the area, but ultimately because I’m quite bored with it. Detroit is the most talked about city and rightfully so, especially with it reemerging, but it hasn’t quite reemerged yet… It’s pretty dead in terms of foot traffic. 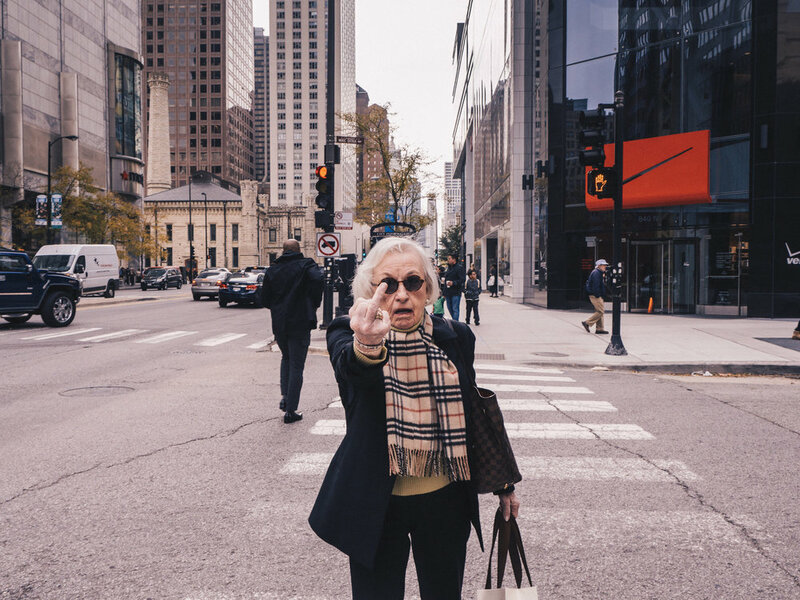 It kind of reminds me of Chicago, not the foot traffic aspect, Chicago is booming, but if you want to photograph the locals, you have to kind of step outside of the Downtown area. If I have to recommend one thing to you guys… it’s to try something new. As street photographers it’s easy for us to get caught up in our same old routine. We shoot with the same camera, the same lens at the same place… typically at the same time. Switch it up, have some fun. No one is going to revoke your “street card”. What I’ve been doing lately is shooting with manual lenses. They make street photography more challenging (even though at times it’s difficult af) and it allows you to have some fun that you can’t really exercise with modern lenses today. For example, the ability to shoot wide open at f/0.95, that’s exactly what I did in my most recent session. I'll Never Sell Prints This Cheap Again! Hey guys, if you’ve been following along then you’ll probably know my Kickstarter campaign is coming to an end. I’m proud to say that I have met my goal (as of now), but I’m still very far away from my stretch goal. With that being said I’ve added some extra rewards to the campaign. For 24 hours, you’ll be able to grab a signed 8x12 Have a Nice Day Print. This print has been sold out in my web shop for quite some time and after this I plan to slow down the amount of prints I make of this image. Okay… So this isn’t really a lens review, “Testing out a cheap lens for the day” is probably a better title, but it doesn’t have the same ring to it, so I decided not to go with it. First impression might have made the cut as well, but that’s what I call my actual lens reviews, so yeah, that was also out of the question. Anyway, this is a new series you guys will start seeing on my YouTube channel I’ll be taking cheap lenses, mainly vintage lenses as well as modern units manufactured in China and testing them for a few hours on the streets. When DPReviewTV ranked the Fujifilm XF10 as the third worst camera of 2018 I was honestly shocked. This is a market that I knew Fujifilm wanted to overtake, as it’s currently being dominated by one camera, the Ricoh GR II. In my opinion this wasn’t a hard feat, the Ricoh GR II is outdated, it only offers 16.2 megapixels, which is considered low based on today’s standards and it only offers 4FPS, this may not be a big deal to some, but that’s quite slow for those who shoot in burst mode. You guys have been asking and now it’s finally here. If you haven’t been keeping up with my YouTube videos or my KIT, then there’s a chance that a few of you might be in for a surprise. I won’t say too much, but if I get enough request I’ll do a video on why I made the switch… again. Rokinon is one of my favorite lens manufacturers. Their lenses have always been cheap, yet amazing optically. I thought it was a huge leap when they announced the AF version for the Sony E mount. It was so inexpensive that I had to give it a try, I figured even with a few minor mishaps it would be worth the value… Let’s see, is this a lens you guys should pick up as well.